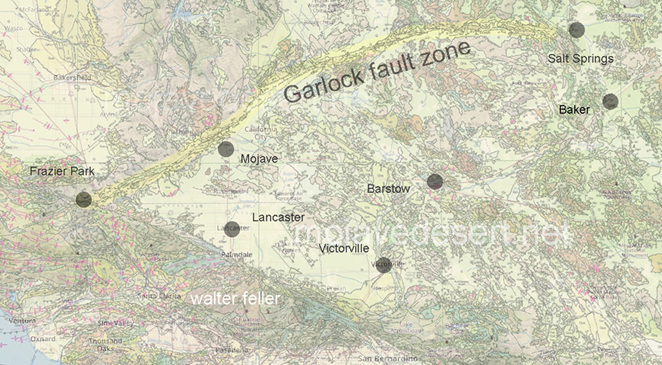 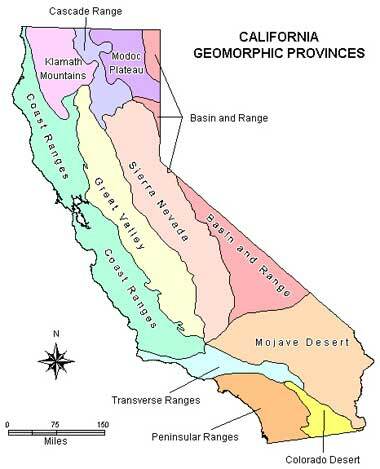 The Garlock Fault is the defining fault between the Mojave Desert and Basin and Range geomorphic provinces. 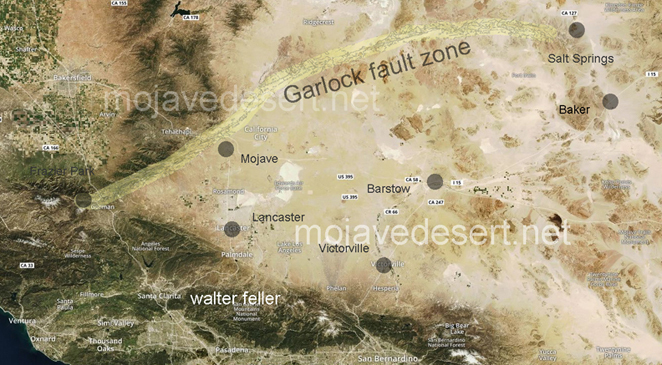 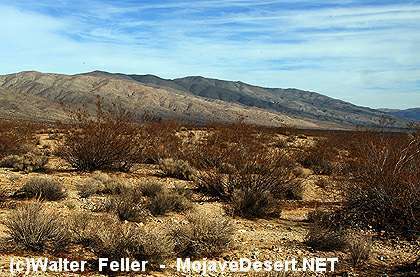 The fault also defines the boundary between the northwestern most Mojave and the southern portion of the Sierra Nevada geomorphic province. 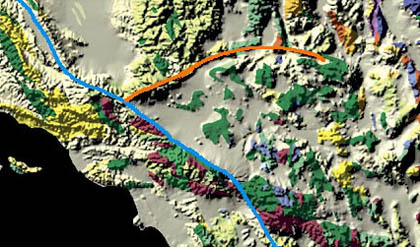 The intersection of the San Andreas (the blue line) and Garlock (orange line) faults in southern California reflects two different tectonic forces: the northwest-southeast sliding along the boundaries of the Pacific and North American plates, and the roughly east-west crustal extension within the North American plate. 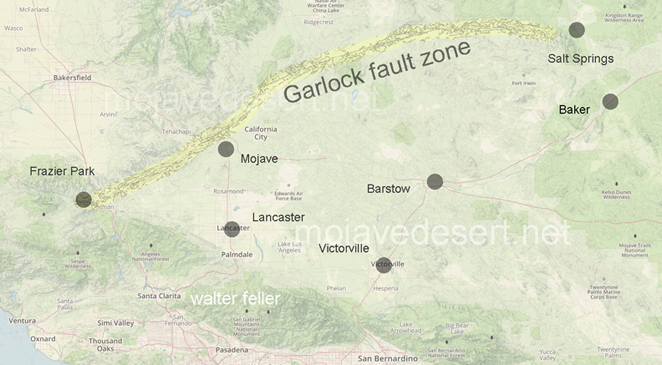 The relative westward movement of crust north of the Garlock fault bends the San Andreas system into a lazy "S" pattern. 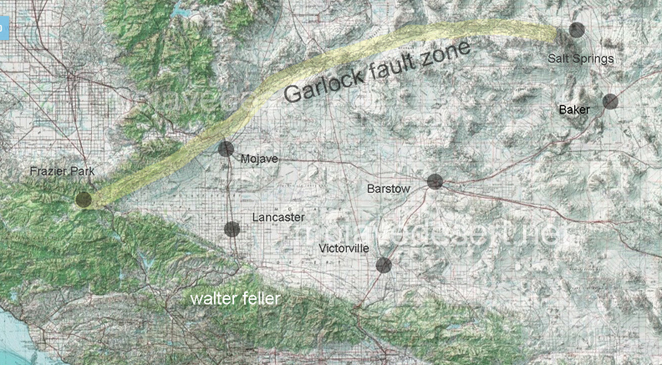 This deflection results in a compression of rocks to the south of the fault, pushing them upward, as expressed by the San Gabriel Mountains and the east-west trending Transverse Ranges north of Los Angeles.